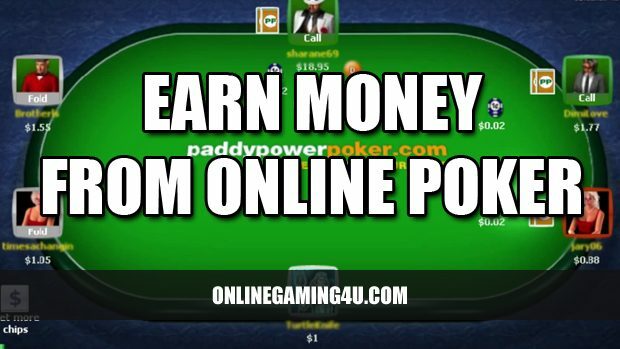 Online poker is a source of income for some people. It is a sideline for some extra cash for others, and something that can earn you more pocket money. People like poker because it is fun, requires skill and it is a way of earning cash at the same time as enjoying yourself. Online poker has helped bring poker back into the public consciousness in recent years. Although some poker websites have come and gone, others remain strong in 2018 and show no signs of slowing down. The game is growing in popularity and is being featured much more prominently on television at a competitive level. Playing more than one table at once can seem daunting, but it’s actually a good way to diversify your interests and pick up larger wins without suffering larger losses. Rather than investing all your money in one game to gear up the stakes, spreading amongst several games at one time can help you spread the risk of losing without minimizing the chances of winning – a perfect win/win scenario. Of course, this comes at the price of concentration, which must be at an absolute premium throughout, and there is no guarantee that you’ve hedged sufficiently against the risk of losing on multiple tables and wiping out your account. Because dealing online is an automated process, the often costly mistakes of the dealer are eradicated. This is not only true in the amateur game of poker, but also in casinos where too frequently a card may be overturned, or two cards selected rather than one, thus causing some cards to remove or redealt. When playing poker online, there are none of these mistakes, meaning the game comes out as it was intended, rather than handing an opponent a lucky break. Of course this means you don’t benefit from lucky breaks, but by removing the chance element and focusing on the actual skill dimension, you make it more of a measured game which should see the best player win more often than not. 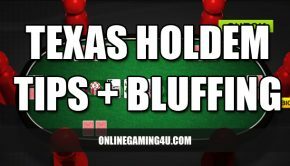 Playing online makes it harder for others to read your bluffs, which means it is possible when you’re holding weaker cards to occasionally win big on the strength of a bluff. With no one able to see you or read your body language, you can get away with being a lot more relaxed, but to think there are no signs would be incorrect. It is an advantage that can win you more money, but it’s also essential to bear in mind that you are not beyond detection if you resort to obvious strategies and don’t mix up your gameplay. 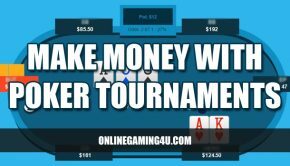 Purely a practical thing about the structure of online poker, the stakes are often higher than those you could compete for with your friends, and the availability of attractive signup bonuses and incentives make it more likely you will walk away with big money from online poker rooms. The ability to play poker much more regularly is key to winning more money, both practically speaking and in terms of making you a better all-round poker player. With online poker, there are no travel arrangements to be made or other distractions to take time away from the game at hand. By concentrating solely on the poker, and with the wide availability of poker sites and games going on online, the opportunity to play endless poker means you can improve in no time and win more money than you would in an offline environment along the way. 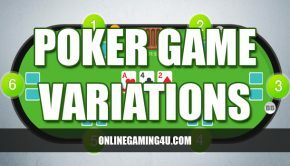 So if you fancy playing online poker for the first time, or are looking for a new site to play, we recommend the following poker websites. They cater for all ability and skill levels from beginner to expert, offer great promotions and provide a good range of poker games for all tastes. First published 29th July 2009. Updated 9th January 2018.